Benjamin Netanyahu, the Israeli Prime Minister, has urged European Jews to immigrate to Israel following the shooting dead of a Danish Jew outside a Copenhagen synagogue on Sunday. The shooting at the Krystalgade synagogue that killed a 38-year old Jewish security guard came just hours after another deadly shooting at a free-speech event featuring an artist who had caricatured the Prophet Muhammad. Five Danish police officers were also wounded in the shootings. Police said Sunday they had shot and killed the man who had carried out both the attacks. “We send our condolences to the Danish people, and also to the Jewish community in Denmark. Once again Jews are murdered on the soil of Europe just for being Jews. 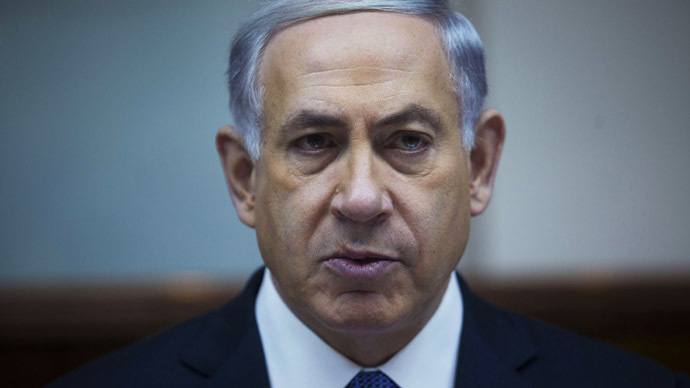 This wave of terror attacks is expected to continue, including these murderous anti-Semitic attacks,” said Netanyahu. Netanyahu said that Jews should feel protected wherever they live and then called on the Jewish community in Denmark to move to Israel. “We are preparing for a wave of mass aliya [Jewish immigration] from Europe; we are calling for a wave of mass aliya from Europe. I want to tell all the Jews of Europe, and Jews wherever they may be: ‘Israel is the home of every Jew… Israel awaits you with open arms,” he said. Avigdor Lieberman, the foreign minister, called for an even tougher stance to be taken and said Jews were the canaries in the coal mine in the battle against Islamic extremism. “The international community in its entirety cannot be satisfied with declarations and demonstrations against this terror, but must throw off the rules of political correctness and conduct and a truly uncompromising war against Islamic terror and its causes,” said Liberman. Jair Melchior, Denmark’s chief rabbi, said he was “disappointed” by Netanyahu’s call for immigration. "Terror is not a reason to move to Israel," he said. This is not the first time Netanyahu has called on Europe’s Jews to move to Israel. After the terror attacks in Paris that involved Charlie Hebdo magazine offices and a kosher shop he called on Jews to leave Europe because of what he said is “the rising tide of anti-Semitism”. “We need to wake up and say, ‘You know what? It is the responsibility of every government in Europe and around the world to protect their minorities and their citizens,” he added. General Director Rabbi Menachem Margolin accused EU leaders of failing to do enough to battle anti-Semitism and said that it’s imperative to "secure all Jewish institutions 24/7”.